Not even economic crises have been able to put a damper on the world of weddings. Weddings are in fashion and their popularity is increasing. 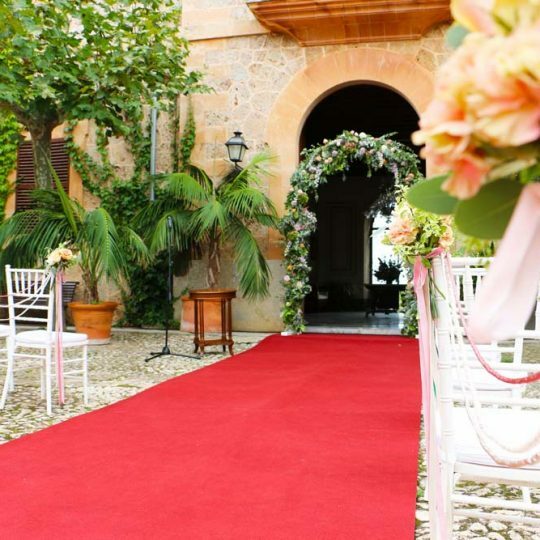 Both the islanders themselves, as well as couples living elsewhere, choose the privileged destination of Mallorca to get married. Its pleasant climate, lovely beaches and idyllic surroundings, make it one of the most sought after destinations. The Wedding Planner plays a vital role in the organization of a wedding and acts as the couple’s confidante. The bride and groom share all their wishes and ideas for their wedding with the Planner, who has the job of making sure that everything is carried out to plan. The Wedding Planning Service is personalized for every client, thereby making each marriage unique, special and exclusive, so that every couple can have the wedding of their dreams. Two of the most important aspects of holding a wedding are the location and the style. Every small detail counts and reflects the personality of the couple. Wedding invitations, the choice of tableware and the décor, have all changed dramatically over the years. If in the past the same pattern was followed regarding the style of décor or the types of flowers, nowadays an infinite range of possibilities exist. We have progressed from the imperial table for the bride and groom, to organizing personalized structures, pergolas and chill-outs amongst other options, to create an exclusive, dream ambience. Another important aspect to consider is the venue at which to hold a wedding. 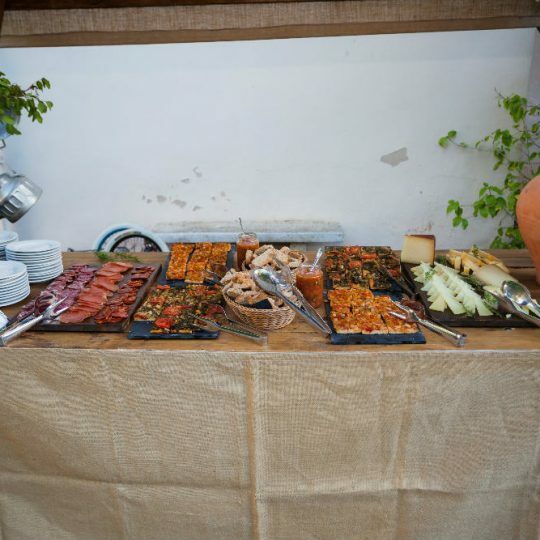 We are the exclusive caterers at the Son Mir Estate, where a five-star wedding can easily be celebrated. Mr. Fabrizio Giunta spoke about this on IB3 TV’s programme “Ara Mateix” and we attach a video of his interview.